Binghamton, NY, March 2, 2012â€“Â McIntosh Laboratory, a global leader in home entertainment systems that has defined the highest quality in sound reproduction for over 60 years, once again brings its iconic audio gear to the 9th Annual Stuart House Benefit. This year is the second year of McIntoshâ€™s involvement in the program which raises awareness and funding for the special needs of sexually abused children. The company has donated itsÂ MANHATTANÂ collection, the critically-acclaimed standalone tabletop music system, for an online auction. It can be bid on viawww.charitybuzz.com/johnvarvatosÂ beginning March 2nd through the 20th. 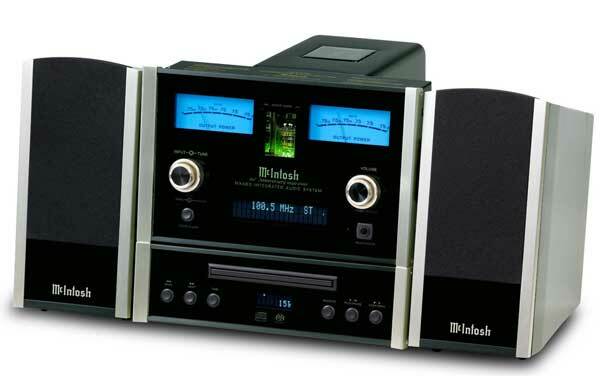 The McIntosh MANHATTAN system features a CD/SACD/MP3 player, 75-watts per channel amplifier and speakers. Since 1949, McIntosh Laboratory has been committed to excellence, innovation and quality. McIntosh continues to define the ultimate home entertainment experience for discriminating consumers around the world. Handcrafted in Binghamton, New York, its products deliver powerful performance and superlative engineering. The iconic â€œMcIntosh Blueâ€ Watt Meters have become the recognized symbol of quality audio globally. McIntosh systems are created to share music quality passion throughout generations. McIntosh Laboratory, Inc. is a D&M Holdings company. For more information visitÂ www.mcintoshlabs.com, or join us on Facebook:Â www.facebook.com/mcintoshlabsand TwitterÂ @McIntoshLabsInc. All product and brand names with a trademark symbol are trademarks or registered trademarks of McIntosh Laboratory, Inc. All product and brand names with a trademark symbol are trademarks or registered trademarks of McIntosh Laboratory, Inc.